The official step for the Chester Step Test. The top of the step has a non slip surface. Its lightweight structure and side carry handles make it easy to move around. 30cm Step – is generally suitable for those under 40 years of age who regularly take physical exercise and are used to moderately vigorous exertion. 25cm Step – is generally suitable for those over 40 years of age who regularly take physical exercise and are used to moderately vigorous exertion. 20cm Step – is generally suitable for those under 40 years of age who take little or no regular physical exercise and for those under-40’s who are moderately overweight. 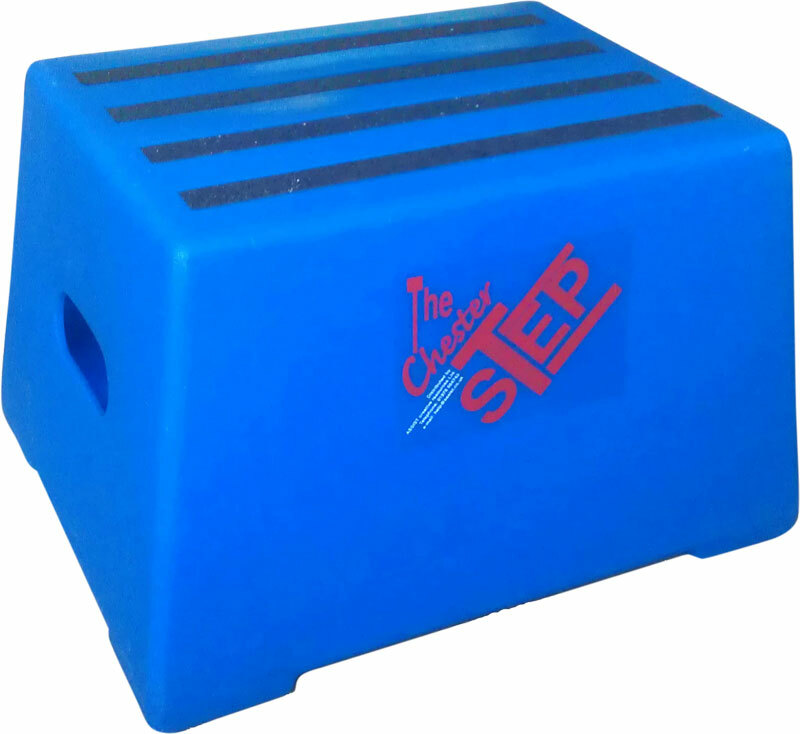 15cm Step – is generally suitable for those over 40 years of age who take little or no regular physical exercise and for those under-40’s who are moderately overweight. It is imperative that there are no medical contraindications to the subject undertaking any of the above tests. Most people don't require a medical check-up before taking this test or starting regular, moderate exercise. However, if there are any doubts about the individual's suitability to partake in moderately vigorous physical activity, then please advise them to consult a doctor – and do not conduct the Fitness Test.